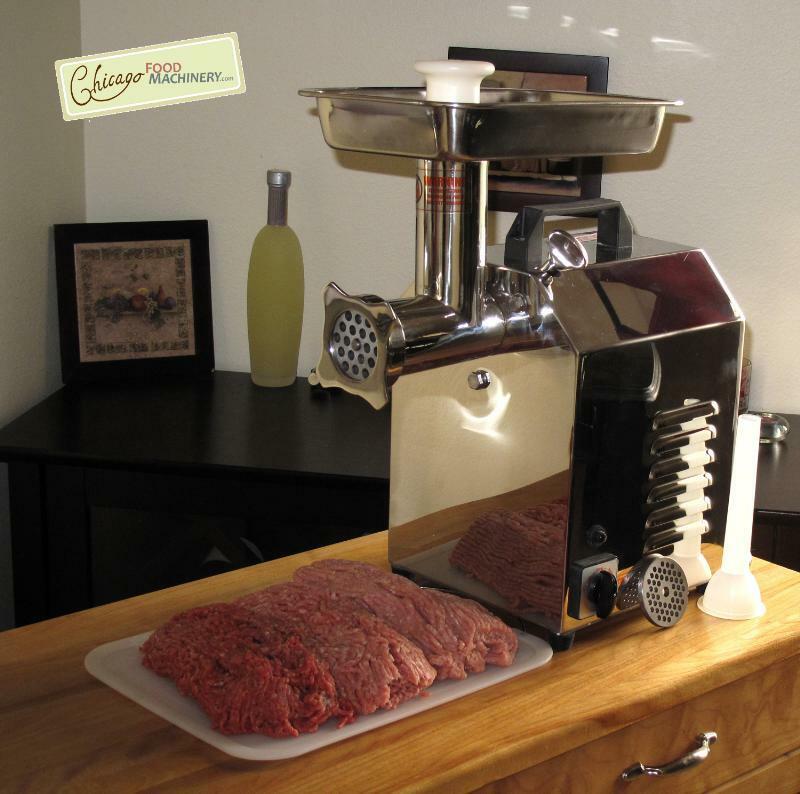 Chicago Food Machinery #8 stainless steel electric meat grinder is part of the Home Pro series. This medium sized meat grinder has a powerful 350 Watt motor and includes two extra 5 mm & 8mm stainless steel plates. This means it can handle even the most successful hunt with ease, and save the customer time with its capacity for handling large amounts of meat in a short amount of time.